More and more recordings from offshore jazz musicians keep arriving in my mailbox each month and they are beginning to outnumber domestic releases. This is an obvious sign of the exponential growth of internationalism in the music and a signal to American jazz critics that their reviewing responsibility must include ample coverage of this phenomenon. 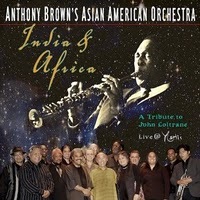 Anthony Brown and his Asian American Orchestra have just released their latest CD India & Africa: A Tribute to John Coltrane on Water Baby records and this CD contains traditions from every imaginable corner of the planet. Brown (a Ph.D in ethnomusicology) was born of an American father and Japanese mother. After college he served as an army officer in Greece and Germany eventually returning to our west coast to form the band United Front. His lifelong passion for international music reaches an apotheosis in this new India & Africa. Coltrane composed music containing classic Indian modes ("India"), West African polyrhythms ("Africa"), Andalusian flamenco flourishes ("Ole") and the polyphonic pitches of Central African Pygmies ("Dahomey Dance"). Brown has organized these Coltrane pennings for the band and woven traditional Asian instrumentation i.e. Chinese mouth organs, Japanese bamboo flutes, Indian zithers, into his big band to produce an intriguing session. 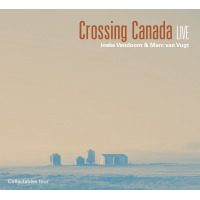 Recorded live at Yoshi's in Oakland, India & Africa highlights this month's international collection. Markus Schwartz was born in Copenhagen, grew up in a jazz rich American household, and has spent the last 20 years studying Haitian religious music. On his new Equinox CD Markus Schwartz & Lakou Brooklyn, he leads a quartet with a full battery of Haitian percussion instruments including conch shells. He has also arranged and collaborated on selections which celebrate the work of Haitian philosophers, artists and composers. His knowledge of Haitian culture and expertise in its music make this session invaluable for international music enthusiasts. Some contemporary internationalists prefer playing straight ahead music instead of experimenting with their own national sounds. Danish drummer Jacob Melchior and his Japanese band mate pianist Tadataka Unno have released a CD It's About Time that is as mainstream as it gets. Standards such as "For All We Know," "It might As Well Be Spring," "Lover," and "You Don't Know What Love Is" get charming renderings containing little trace of the group's internationalism. But bassist J.J. Wiggins' new name (he now calls himself Hassan JJ Shakur) certainly adds to the offshore flavor of the ensemble's personnel. This past summer I performed with a marvelous bassist from St. Petersburg Russia whose last CD Russian Caravan on the Play label illustrates an internationalist penchant for the same recognition American musicians desire. 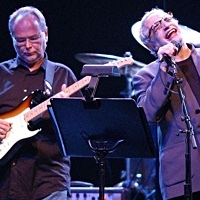 Dmitri Kolesnik has included standards by John Lennon and Howard Dietz in the session but has made sure that his own tunes ("Blues for R. C.," "Aniuta," "Hypnosis") are prominently featured in this delightful outing with guitarist John Hart and drummer Jimmy Madison. 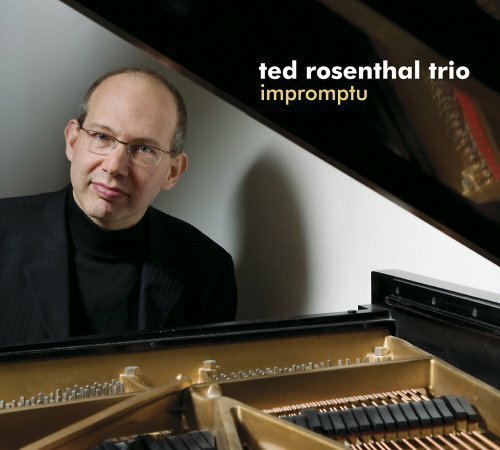 In an internationalist reversal of sorts, virtuosic pianist Ted Rosenthal has just released a CD featuring the music of European composers. Heralded works of masters including Brahms, Schubert, Chopin, Mozart, Bach, Puccini, Schumann and Tchaikovsky are given inspired interpretations in Impromptu on the Playscape label. The recording offers what has become a Rosenthal imprimaturjazzing up the classicsand it certainly receives my nomination for CD of the month.